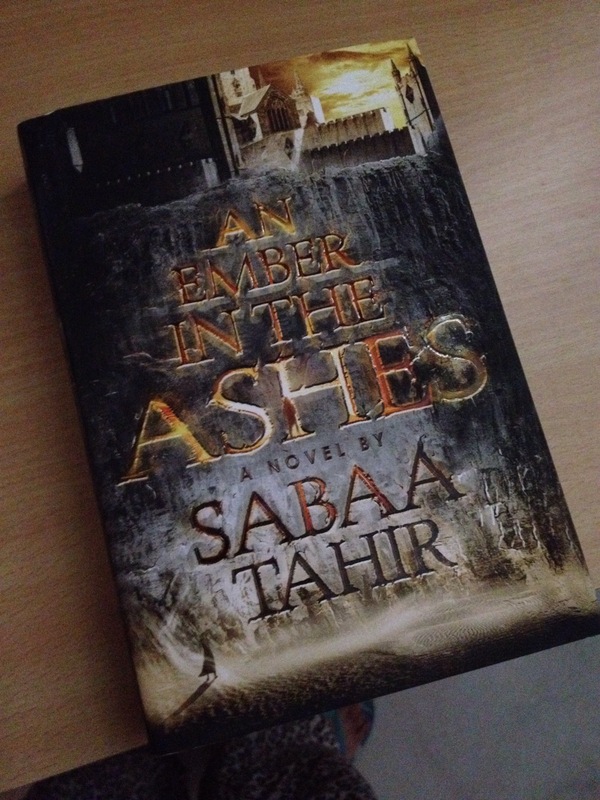 An Ember in the Ashes by Sabaa Tahir is a Young Adult Fantasy drawing influence from the Roman Empire. The story follows a slave, who belongs to the Scholars, and a soldier who is a Mask and works for the Martial Empire. The Slave is searching for her brother and is desperate enough to try anything to get him free. The Soldier on the other hand, wishes to be free of the Empire and plans to desert. What follows is the inexplicable crossing of paths and unlikely intertwining of lives. As far as the writing of this book is concerned, it is very well written and easy to follow. What I loved most was that each chapter is a point of view from both our characters and each chapter is a cliffhanger and because they alternate, you have no choice but to keep reading! An absolute brilliant concept that keeps the reader on edge leaving no choice but to keep reading. Even though there is minimal world building, it gives you a fair enough picture that you can visualize the setting. If this were to become a movie, it would be beautiful. My favorite part in the book was when Laia (the Slave) and Izzi (her friend) sneak out to go to the Moon Festival. The way she described it was so alluring and the moment when Izzi tastes her first mooncake was just so innocently beautiful that it makes you forget the darkness the book is soaked in. The use of mythical creatures was an interesting twist that was quite enjoyable. The Commandant is a formidable character that I would never want to meet in person. Ruthless, cunning and a complete sadist, she is not one to be messed with. A brilliantly devised antagonist who’s story I would love to see more of in the future. I gave this book 5/5 stars on goodreads because I had no choice but to sacrifice my sleep because I couldn’t stop reading it. If you’re in a reading slump or simply want to try a different genre, pick this book up. It’s fast paced and will keep you occupied.